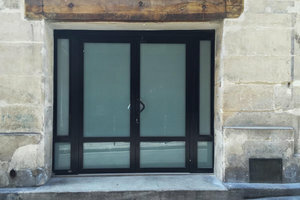 a beautiful cut stone and which has the particularity of being dressed in opaque windows, invites us to discover. 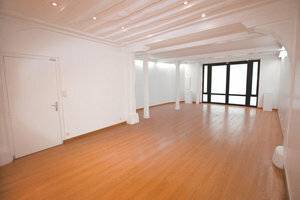 Elegant floating floor with wide slats in a caramel color, slightly creamy walls decorated on the sides with small neon lights, for a warm and caulked atmosphere, beautiful white exposed beams in which several rows of spots are nestled, make of our interested a partner open to all scenographies to accompany a wide range of events. 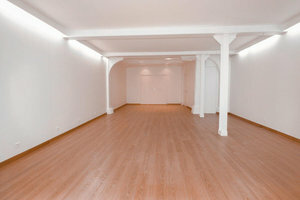 Located in the heart of the Beaubourg district, this space is the one you need for events by invitation. 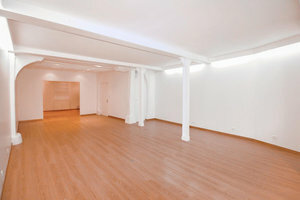 Advantageously located in the vibrant area of Beaubourg and close to Le Marais, as well as rue de Rambuteau and rue des Archives, this space is easily accessed and in a quiet yet fashionable environment and it's the one you need for events by invitation.